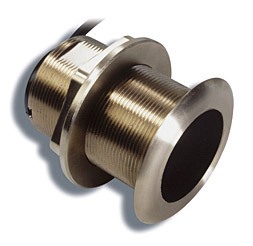 The Raymarine B60-20 600w, Bronze Low Profile Thru-Hull Transducer has quickly become the transducer of choice. It has the same performance as the standard Thru-Hull with Fearing block style but does not cause interference with water flow or create trailering issues thanks to its low profile design. Also availble for boats with deadrise between 16 and 24 degrees. Operating Frequency: 50/200 khz and includes Temperature. 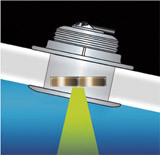 Compatible with Raymarine DSM30/DSM300/CP300/CP370.